The Old Cart Lodge01263 715779work01603 870304fax Self-cateringCome and stay in this super barn conversion and relax in the hot tub after days' out exploring this lovely part of Norfolk. The Broads network with its fabulous waterways, cycling and walking is nearby, the cultural delights of Norwich are readily to hand and the gorgeous east coast sandy beaches make a great day out. The Old Cart Lodge offers weekly bookings starting on Friday. 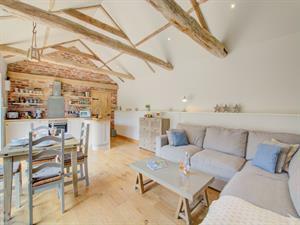 Come and stay in this super barn conversion and relax in the hot tub after days' out exploring this lovely part of Norfolk. The Broads network with its fabulous waterways, cycling and walking is nearby, the cultural delights of Norwich are readily to hand and the gorgeous east coast sandy beaches make a great day out.